A fall treat that'll do especially well around the holidays. 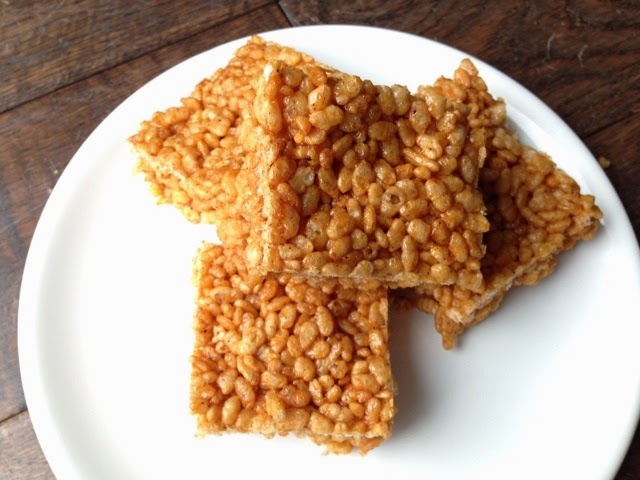 It's my own little twist on a classic treat. 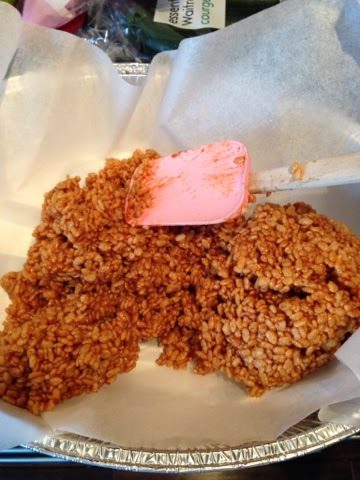 My mom used to make us peanut butter rice krispy treats which I LOVED so I though maybe a pumpkin one would be nice and got experimenting in the kitchen. Hope you enjoy this version! In a saucepan, melt down the butter on medium heat and stir till butter starts getting slightly darker then remove from heat. This is your brown butter, it adds a rich flavor to any baked goods. Now, add the cinnamon, allspice and pumpkin to the brown butter and stir well. Place back onto burner on low heat and immediately stir in the marshmallows a couple cups at a time. 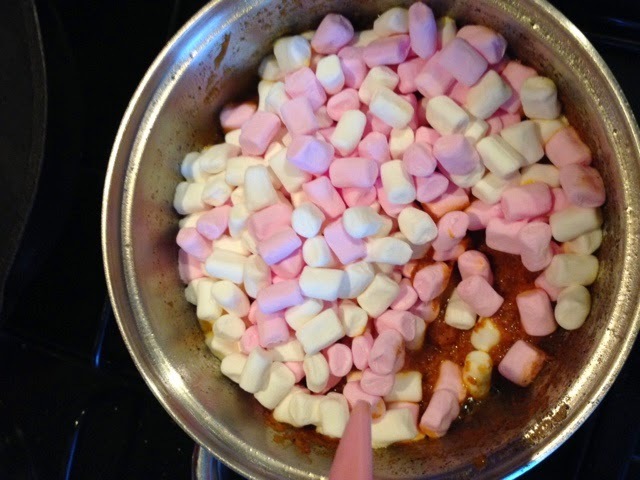 When all marshmallows are melted, pour mixture over the Rice Krispies in a large bowl and stir till well coated. 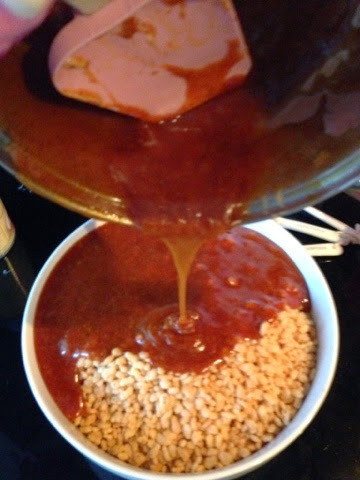 Press the mixture into a large square greased dish using wax paper to smash it down evenly. Let cool before cutting into squares to serve. Enjoy!